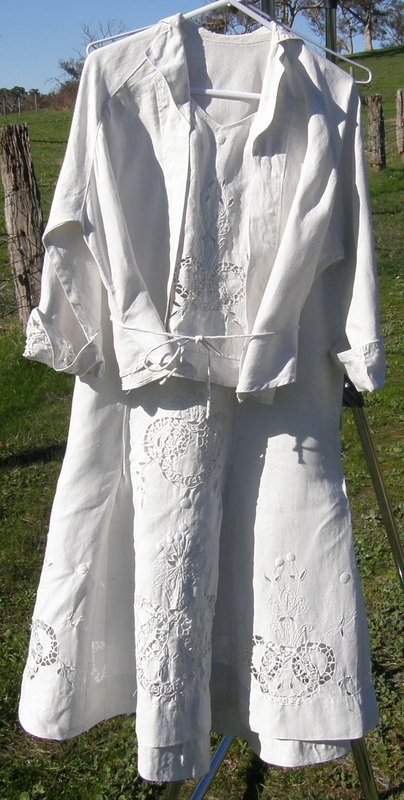 EDWARDIAN & LATE VICTORIAN XS 2 Linen. 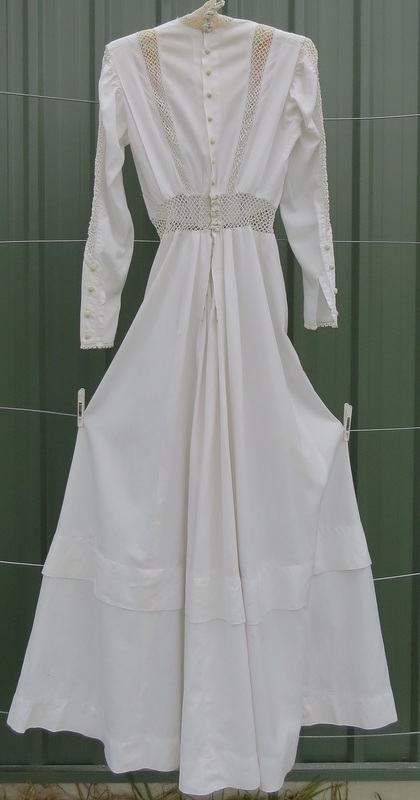 Edwardian garments should be loose around the bust. Antique linen items generally have the potential to last longer than other fabrics, and are therefore more expensive. 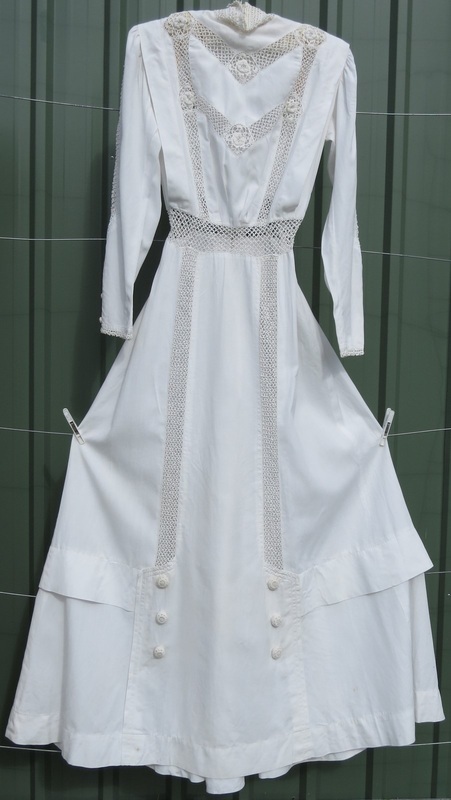 Elin1 Linen with cutwork and crochet-covered buttons. B 84 W 58 H 90 Collar circumference 31cm. $350. Elin2 2-piece linen suit, sailor collar at back, cutwork. B 91 W 58 Jacket length 48cm. Length from waist to hem 96cm. $175.